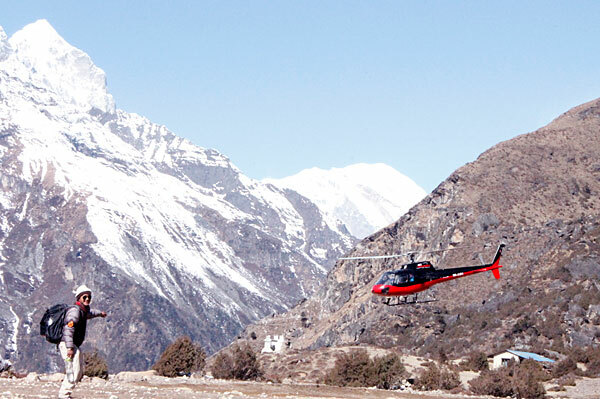 Everest Trekking – 12 Days | HighlandExcursions- One of the leading adventure travel company. One of the leading adventure travel company. 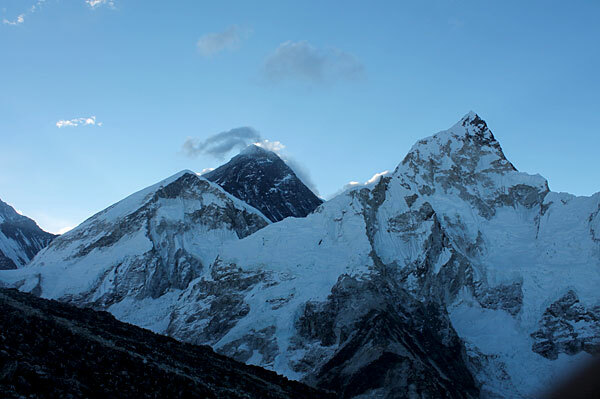 Views of Mount Everest from Thyangboche, Sherpa Culture, Namche Bazaar, Thyangboche Monastery, Side trip to Khumjung, Fully supported camping trek, 3 hearty meals a day on trek prepared by our cooks, Ample acclimatization days built in Himalayan Mountain flight from Kathmandu to Lukla, Sightseeing in Kathmandu- Pashupatinath (a major Hindu shrine) and the giant Buddhist stupa at Boudhanath. 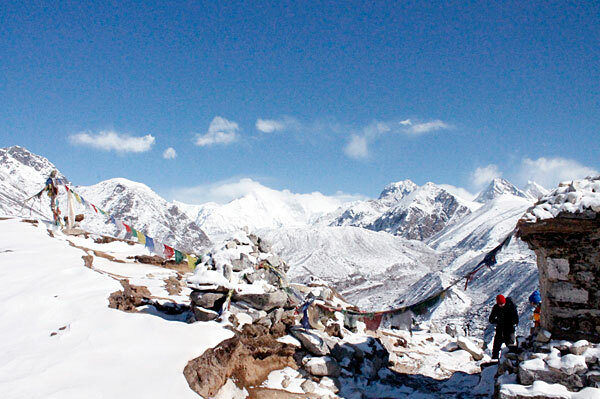 This short trek introduces you to the villages and culture of the Sherpa people. We take time to explore the colorful markets of Namche Bazaar and the famous Thyangboche monastery – the spiritual heart of the Khumbu region. 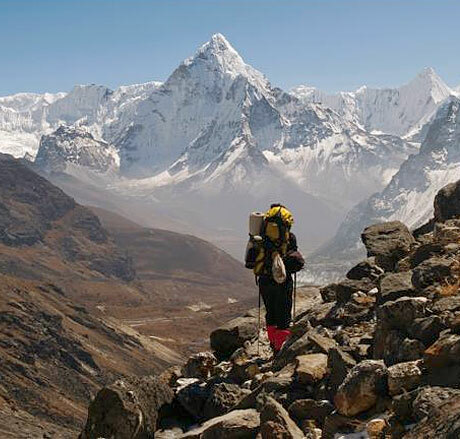 We follow established trails in the Sagamartha National Park to view many of the world’s highest peaks including the summit of Everest that peers above the 8000m peaks of Lhotse and Nuptse. We also visit Khunde and Khumjung villages where Sir Edmund Hillary established the regions first hospital and school through the Himalayan Trust. Day 1 Arrive in Kathmandu (1330m). Day 2 Fly to Lukla (2800m) Trek to Ghat (2530m). Walk approx 2 hours. Day 3 To Monjo (2850m). Walk approx 4-5 hours. Day 4 To Namche Bazaar (3440m). Walk approx 4-5 hours. 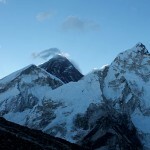 Day 6 To Deboche (3770m) via Thyangboche. Walk approx 6-7 hours. Day 7 To Namche via Khumjung (3780m). Walk approx 4-5 hours. Day 8 To Monjo (2850m). Walk approx 4 hours. Day 9 To Lukla (2800m). Walk approx 5 hours. Day 10 To Kathmandu by air (1330m). Day 12 Trip concludes Kathmandu. My girlfriend and I just got home from Nepal, and still can’t forget one person from our trek. Our guide, Sanjay and his team. We got snowed in at Loboche (first time in 20yrs at that time of year apparently?) and never made it to Everest Base Camp. But thanks to some very wise decisions on Sanjays behalf, he got us all down safely the following day in 2m of snow, with 5 sick people in our group (including myself). The rest of Sanjay’s team were amazing too – Djan, the front guide, was always willing to help out, and teach us some Nepali words and phrases along the way. Considering we didn’t achieve what we intended, we still had an incredible time. The best part being the manner in which Sanjay kept the group cohesive despite split decisions on whether to go to Everest Base Camp or descend. He is an excellent representative of your company. We are associated with World Expeditions is one of the world’s leading adventure travel companies offering ground breaking itineraries on every continent. 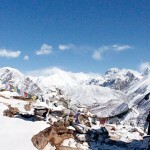 The company has been operating small group trekking and adventure travel holidays and vacations since 1975. We are widely recognized for ground breaking Responsible Tourism initiatives. In particular, the award winning Community Project Travel Program helps to improve the living conditions of some of the world’s most remote communities Today, with offices around the globe, we offer more than 500 stand alone itineraries; small group active adventures and expeditions, cycling and walking tours and cultural journeys. Each itinerary has several scheduled departure dates throughout the season. Supported by some of the world’s most experienced and respected adventurers, including mountaineers Peter Hillary and Tim Macartney-Snape working with us as specialist guides, World Expeditions’ has helped shape the adventure travel industry standards since its inception almost four decades ago. Our all-inclusive, no hidden extras pricing policy combined with longer, creative itineraries and the use of quality ground services attracts people who have high expectations of their travel experiences. In 2004, we became the first adventure operator whose product was being distributed on Lonely Planet’s Travel Services section on their website. World Expeditions is truly global company with offices in London, Sydney, Melbourne, Brisbane and Perth, as well as Auckland, Ottawa and Montreal. You can book your trip online by clicking the ‘Book Now’ button against your desired departure date. If you prefer to book offline please click here to download a booking form and more information. Highland Excursions Nepal Pvt. Ltd. is associated with World Expeditions,a leading adventure company of Australia. We have been in operation for many years and organizing tours all over. © 2012 Copyright Highland Outdoors.